Please note that that JAMB 2016 Direct Entry e-Registration Form is Now on Sale and you are hereby advised to get your e-registration form ASAP. Am writing this blog post to inform the general public, especially for the interest of those who wishes to gain admission into various Universities in Nigeria via Direct Entry (DE) Form to be informed that the 2016 JAMB Direct Entry e-Registration Form is officially out. All interested applicant should visit any JAMB office closer to them and purchase the Direct Entry Scratch Card. How Much is Direct Entry (DE) Form? The Official DE e-Registration card costs N5,000 Only. You can as well get JAMB Direct Entry 2016 e-Registration Form form at any accredited Cyber Cafe and business centers around you. 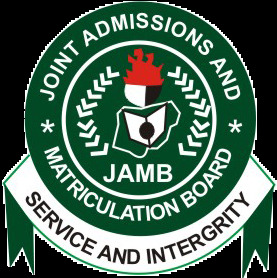 How to Register 2016 JAMB Direct Entry Online? Carefully watch the image on the Direct Entry 2016 e-registration card and you will for sure see that it comes with a bio-metric capture, which is to say, that, you are not expected to do this registration by yourself. You will need to visit any accredited Cyber Cafe or/and business centers around yous so that your biometric information is captured properly. Note that the Direct Entry online registration portal is www.jamb.org.ng/DirectEntry then click on the form to commence your online registration. Ensure not to do it by yourself if you do not have the bio-metric machine. DALF certificate An acceptable Baccalaureate certificate NCE IJMB Institute of Chartered accountants of Nigeria (ICAN) or equivalents of these from accredited Polytechnics and colleges of education. It is necessary to point out that it is only students whose cumulative grade point average (CGPA) meets the requirement for the intended course of study will be considered. The JAMB Brochure contain specific requirements for courses and schools. Normally, candidates who gain admission into the University through DE start from 200 level except for a few departments/courses in some schools that insist that DE students must start from 100 level with UTME students. If you have questions or any issue as pertain to this subject "JAMB 2016 Direct Entry e-Registration Form is Now on Sale", Kindly let us know via the comment session. Thank You!